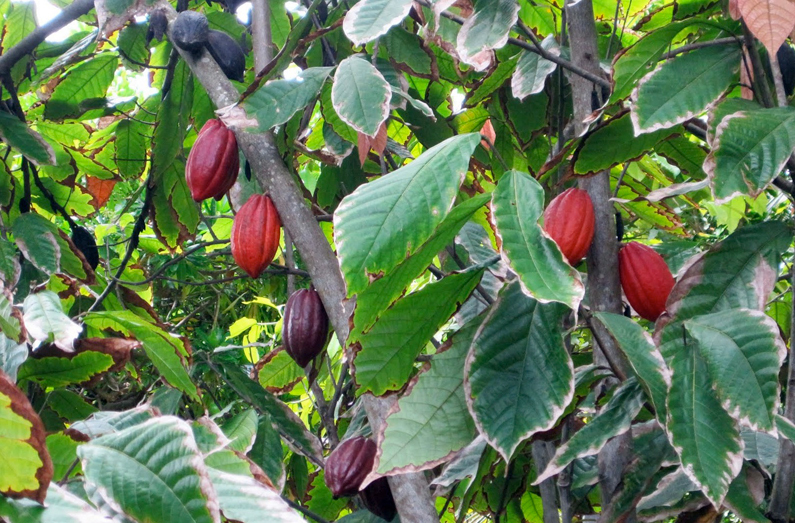 Origin Being Cocoa tree native to America, it has been originated in Mexico and Central America. It was consumed before 5000 years ago by pre-Columbian cultures. It could be found in Orinoco and Amazon basins. 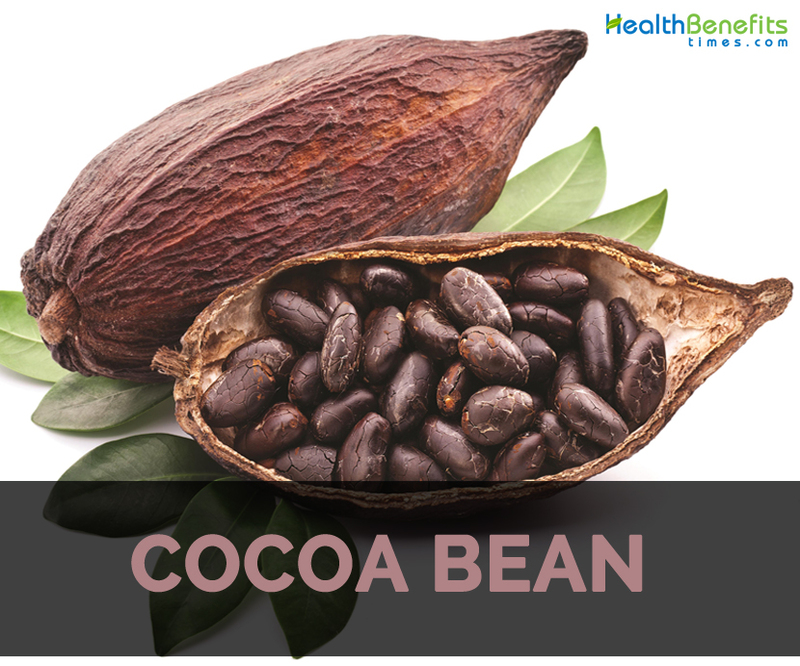 The beans which have been derived from the Cocoa tree are called Cocoa beans. The other common names for Cocoa bean are Cocoa, Cacao and Cacao bean. It is used to extract cocoa butter and cocoa solids. It is used as the basis for making chocolate. The term cocoa was derived from the Spanish word “cacao” and Nahuatl word “cacahuatl”. 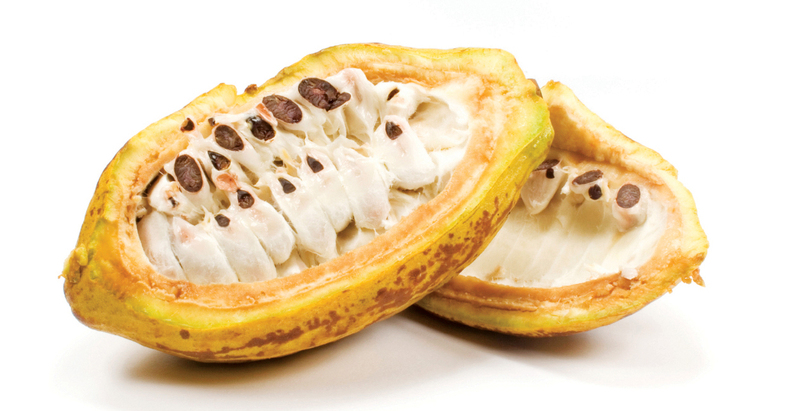 Criollo, Forastero and Trinitario are the three main varieties of the cocoa plant. Cocoa is loaded with antioxidants such as flavonoids and procyanidins that help to provide anti-aging properties. 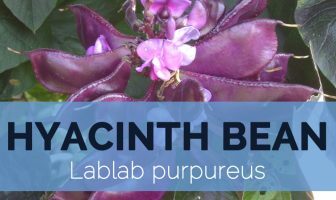 It has also high concentration of epicatechin that is helpful for cardiovascular health. 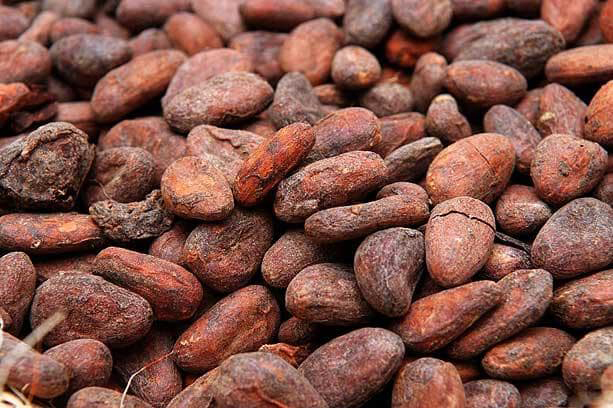 Ghana, Cote d’Ivoire, Ecuador, Nigeria and Cameroon are the largest exporters of Cocoa beans whereas United States, Netherlands, Belgium-Luxembourg and Malaysia are the highest importers of Cocoa beans in the world. It is a tropical tree originating in the Upper Amazon Basin bordering the eastern slopes of the Andes. Its northward migration into Central America and Mexico, although lost in history, has been established using modern molecular techniques, which have documented phylogenetic relations among present germ plasm. 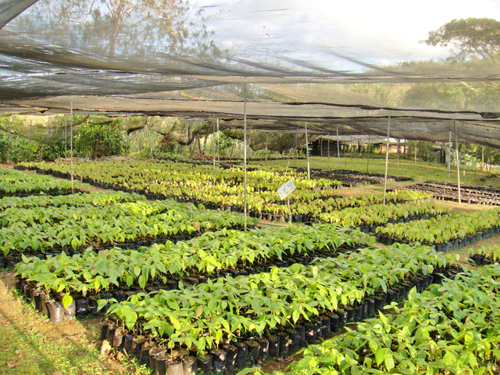 In pre-Hispanic times cacao cultivation and cacao seed processing evolved into different technologies, to the extent that the culture is acknowledged as one of the most sophisticated pre-Hispanic agroforestry systems. Cacao seeds did not just have religious, ceremonial, medicinal, and bever age uses, but even became a common currency among native Olmecs, Mayans, and Aztecs. Because of their long history and present value, cacao trees and beans have been widely described from morphological and taxonomic perspectives. 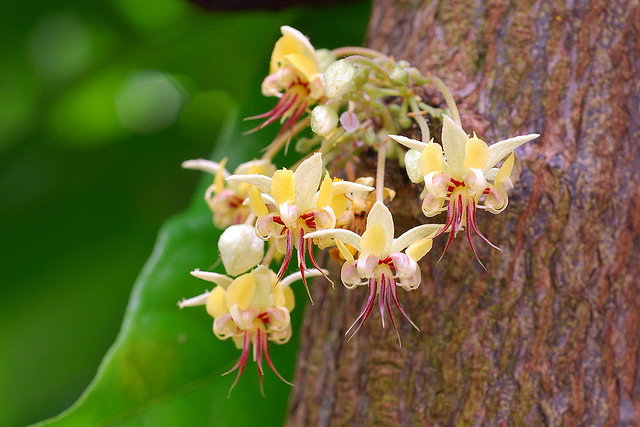 Being Cocoa tree native to America, it has been originated in Mexico and Central America. It was consumed before 5000 years ago by pre-Columbian cultures. It could be found in Orinoco and Amazon basins. It was used as a common currency all over Mesoamerica. Cocoa was vital in pre-Columbian Mesoamerica. In the mid-17th century, chocolate got introduced by Spaniards to Europe. 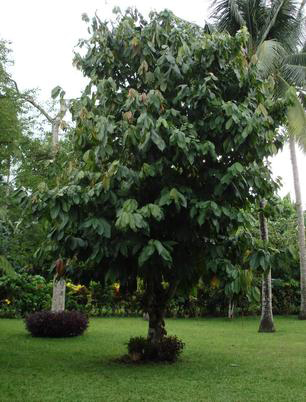 Cocoa tree was introduced to Philippines and West Indies. African. Tetteh Quarshie introduced it to modern Ghana and Gold coast. Typically, it has red, white, green to yellow pods with bumpy or warty skin and pointed tips. The beans are light purple to white in color. The beans have fine flavor. It is grown in Africa as well. Ghana and Ivory coast is the highest producer of cocoa beans. The color of the pod ranges from red to yellow. The name was derived from island nation called Trinidad. It is used to enhance the flavor of chocolate. It was firstly planted in 1834 in Ceylon and again the plantation repeated in 1880. It was transplanted to Madagascar, Fiji, Singapore, Samoa and Tanzania. Due to its fine flavor it is used for making chocolates. In 86 grams of unsweetened dry powder of Cocoa, we could find 2.58 g of moisture, 196 calories, 16.86 g of protein, 11.78 g of total lipid fat, 4.99 g of ash, 49.79 g of carbohydrate, 31.8 g of total dietary fiber and 1.5 g of total sugars. The same serving size of Cocoa bean offers 3.258 mg of Copper, 11.92 mg of Iron, 3.3 mg of Manganese, 429 mg of Magnesium, 631 mg of Phosphorus, 31.8 g of Total dietary fiber, 0.252 g of Tryptophan, 5.86 mg of Zinc, 1.012 g of Valine, 0.654 g of Isoleucine, 49.79 g of Carbohydrate, 0.667 g of Threonine, 16.86 g of Protein, 11.78 g of Total lipid fat, 1311 mg of Potassium, 1.023 g of Leucine, 0.845 g of Lysine, 0.292 g of Histidine, 12.3 µg of Selenium, 0.207 mg of Vitamin B2, 1.879 mg of Niacin and 110 mg of Calcium. The fermented seeds of Cocoa tree (Theobroma cacao) are called Cocoa beans. It is inherent to Amazon region and is a vital crop in South and Central America. Cocoa beans have high content of minerals such as magnesium, iron, copper, phosphorus, calcium and manganese. It is an excellent source of potassium, selenium and zinc. 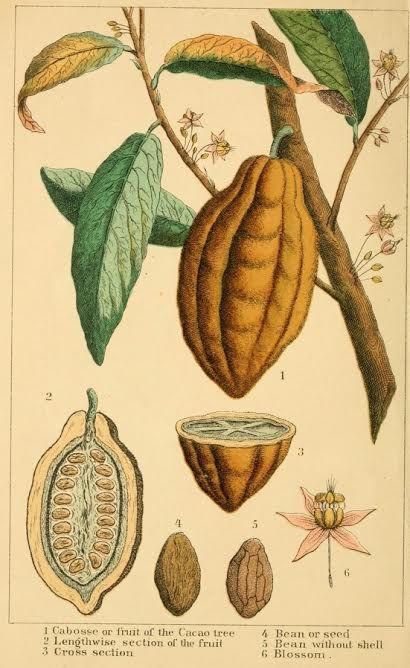 It also possess monounsaturated fats such as palmitic acid, stearic acid and oleic acid.Cocoa bean is packed with various health benefits such as providing relief from constipation, cholesterol, obesity, high blood pressure, cancer, bronchial asthma, diabetes, neurodegenerative disease and chronic fatigue syndrome. It helps to heal the wound fast, improve cardiovascular health, skin care and brain health. It is also helpful for curing deficiency of copper. It helps to enhance mood and has positive effects on neurotoxicity. Consuming chocolate has been reported to increase the total antioxidant capacity in human blood plasma, since cocoa polyphenols exhibit strong free radical scavenging activity. Monomeric epicatechins and oligomeric procyanidins are effective in inhibiting both dioxygenase and 5-lipoxygenase, therefore preventing oxidation. Regular intake of cocoa and its derivatives increases the plasma level of antioxidants, which is a desirable effect because it protects against reactive oxygen species (ROS). Carcinogenic mechanisms have been associated with ROS, and different population studies have shown that regular intake of antioxidant-rich foods confers protec tion against several types of cancer. Therefore, diets including high dosages of cacao antioxidants result in a decreasing presence of ROS, avoiding their genotoxic and epigenetic carcinogens and inhibiting the complex processes leading to cancer development. 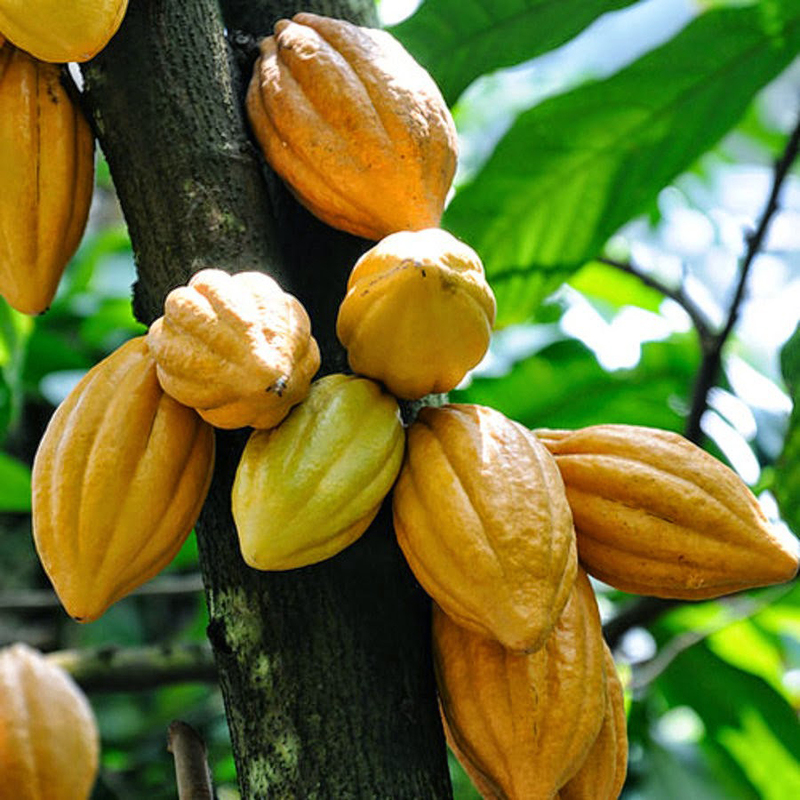 Studies performed in male rats found that cocoa liquor procyanidins showed chemopreventive activity, reducing the incidence and multiplicity of lung carcinomas and thyroid adenomas. In female rats these compounds inhibited mammary and pancreatic tumorigenesis. 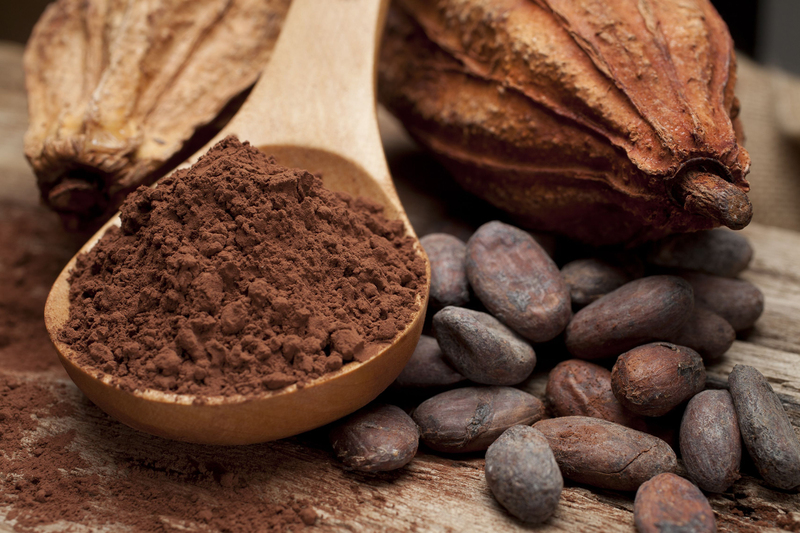 Consumption of high-ﬂavanol cocoa improves skin hydration and reduces transepidermal water loss. Oral or topical procyanidin inhibits ultra violet radiation induced erythematic response by reducing human skin sensitivity to the deleterious effects of UV light. It is demonstrated that single doses lead to blood ﬂow increases in cutaneous and subcutaneous tissues just 2 hours after ingestion. Cocoa polyphenols enhance connective tissues such as glycosaminoglycans and collagen. Inﬂammation is a complex process, and several bio markers are used to identify chronic inﬂammation in humans. Evidence suggests that cocoa can effectively modify the inﬂammatory process. It is reported that cocoa monomeric catechins and oligomeric procyanidins have a signiﬁcant anti-inﬂammatory effect. The mechanism involved seems to be through inhibition of a neutrophil oxidative burst, thus reducing adhesion molecules expression. Cocoa ﬂavanols in high doses suppress the level of plasma leukotrienes, which contribute to inﬂammation in asthma and bronchitis. These compounds are able to modulate eicosanoids synthesis and effects, as well as mediate a series of events leading to acute inﬂammation. Some might get allergic reactions to cocoa beans. It is used for making chocolates. Cocoa butter and cocoa powder is used as an ingredient in chocolate industry. The powder form is used in fudge, cookies, muffins, cake and ice creams. Ivory coast, Indonesia, Ghana, Nigeria, Ecuador and Brazil are the largest producer of cocoa beans in the world. Aztecs use Cocoa beans as a currency. National Cocoa Day is celebrated on December 13. Maya Indians discovered enchanting properties of cocoa bean. In 1585, cocoa was exported to Europe. It is not used for producing white chocolate. Cocoa beans have caffeine in it which helps to provide energy to the body. United States is the highest importer of cocoa beans. Native Being Cocoa tree native to America, it has been originated in Mexico and Central America. It was consumed before 5000 years ago by pre-Columbian cultures. Calories in 1 cup (86 gm) 196 Kcal. Precautions The allergic people should avoid cocoa beans. It is used to make chocolates. It is also used in fudge, cookies, muffins, cake and ice creams. Ivory Coast, Indonesia, Ghana, Nigeria, Ecuador and Brazil are the largest producer of cocoa beans. Aztecs used Cocoa beans as a currency. December 13 is considered to be National Cocoa Day. In 1585, it was exported to Europe. The caffeine content in Cocoa beans helps to provide energy to the body. Calories 196 Kcal. Calories from Fat 106.02 Kcal. Calories 20 Kcal. Calories from Fat 4.5 Kcal. Calories 189 Kcal. Calories from Fat 101.43 Kcal.